OMG the colorful dot cake rocks my life! I want to make it too now! And I'm thinking about vlogging for vlogging for random thursday too! I am obsessed with the colorful dot cake... let us know how that turns out! and the lion picture made me laugh out loud :) Happy Tuesday! Your weekend sounds like perfection! And I can't wait to see your vlog! 1. If it hurts, it means it's working. Or so they say. 2. Ha, sounds like we had the same kind of weekend. Wish it wouldve been longer though. 3. Eeek...that's so cute. Get in my belly! 4. 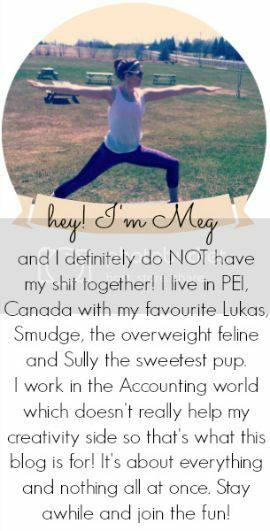 Smudge's a cat? haha, I was like, what so weird about a dog coming when you whistle? Ok, you're right, it's funny. 5. You've got bigger female balls than me cause I'm still teeter tottering on the idea. 7. I have watched this crap show for years. These girls are so lame. 10. You need to write a book on a 'play on words'. Seriously, this title's too cute. I really want to up my water BUT I am a teacher and my classroom is outside, no where near a bathroom. I don't know how I would last. That lion meme is funny. I totally LOL'ed. Thanks for sharing! I'm vlogging on Thursday too! Yay! 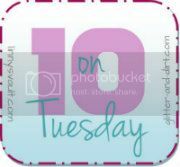 Thanks for linking up for 10 on Tuesday! Okay, that cake is amazeballs. Amaze-color-balls that is! I'm pumped you're starting to workout - so now we can totally cheer each other on! I'm planning on starting up Insanity again after a half I have scheduled in March. Also, your cat cracks me up. That is just awesomesauce.